Warfather’s New Album now streaming in full at Revolver Magazine! Revolver Magazine is streaming Warfather’s Orchestrating the Apocalypse in its entirety. Check it out AT THIS LOCATION. The debut release from ex-Morbid Angel bassist/vocalist Steve Tucker’s endtime death metal outfit,WARFATHER, is upon the masses, as Greyhaze Records released the mighty Orchestrating The Apocalypseon January 21st in North America, and its February 24th European release is closing in. Acclaim from around the globe on the devastating yet atmospheric Orchestrating The Apocalypse is raining in, the album winning over diehard critics, and fans of all eras of Morbid Angel. 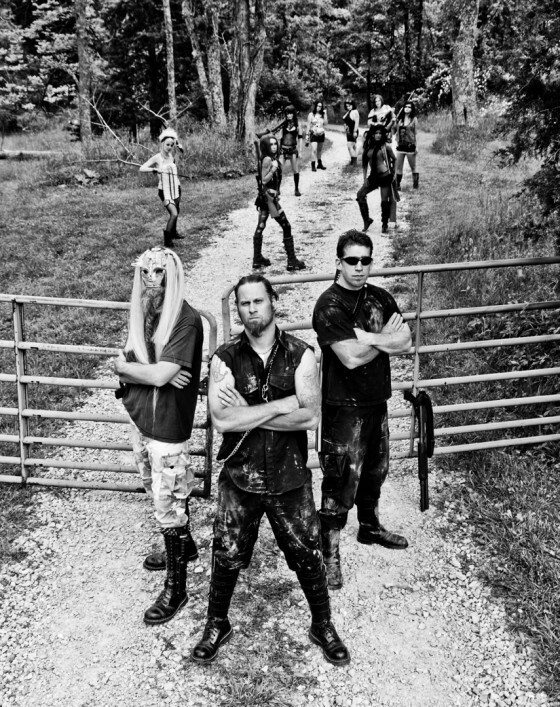 Trading in his bass to handle all guitar and vocal duties with WARFATHER, Tucker recruited a crew of internationally-based executioners to complete the lineup, the collective meeting at Cincinnati-based TME Studios to record their brutal, apocalyptic vision with Tucker handling recording duties. Finalized at Maor Appelbaum Mastering, Orchestrating The Apocalypse hellishly dispatches a dozen tracks which expand upon the three Tucker-fronted Morbid Angel albums —Formulas Fatal To The Flesh, Gateways To Annihilation and Heretic. With the album now infiltrating the airwaves, Revolver Magazine is broadcasting the Orchestrating The Apocalypse message in its decimating entirety AT THIS LOCATION. Comments Off on Warfather’s New Album now streaming in full at Revolver Magazine! We’re proud to announce that two incredible reissues are now available for preorder: Mystifyer WICCA on deluxe CD/DVD and Warfare Noise on 12-inch vinyl. Release date for both albums is February 18 (US) and February 24 (Europe). This classic and long-out of print gem has undergone a complete restoration and is now available with totally restored and remastered audio. This Greyhaze exclusive audio treatment is not available anywhere else. The sound is pristine and exactly like the original 1986 recording. On the same note, the album packaging was also completely restored and brought back to its original glory in crystal clear design for the jacket and original insert. As an added bonus, we’ve added the original poster/flyer from the Warfare Noise concert which featured all Warfare Noise bands (Holocausto, Chakal, Sarcofago, and Mutilator). Available in classic black vinyl as well as translucent orange vinyl. Mystifier WICCA – CD/DVD deluxe digipak. Mystifier is one the most savage Black/Death bands to come out of Brazil. We went all out to bring a fully restored and remastered deluxe CD/DVD of this classic album. This CD/DVD package features the WICCA album plus two bonus tracks. The DVD contains two full concerts by Mystifier: Live in Berlin (Nuclear War Now Fest) and Live in Salvador. All of this material is housed in a beautiful 6-panel digipak which also includes a 16-page booklet. There are lots of photos and other visuals. WARFATHER, the apocalyptic death metal mercenary outfit formed and fronted by ex-Morbid Angel devastator Steve Tucker, is preparing to release their Orchestrating The Apocalypse debut set to inundate North and South America on January 21st and in Europe on February 24th via Greyhaze Records. 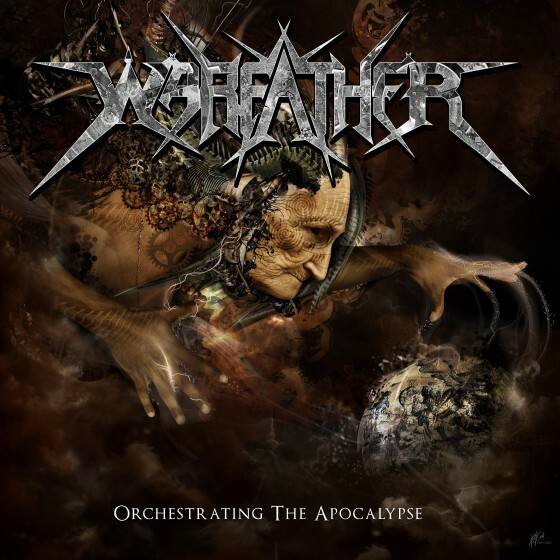 The product of several years of envisioning, constructing and executing, all culminated into a dozen mechanically devastating battle anthems, WARFATHER’sOrchestrating The Apocalypse contains over forty minutes of debilitating death structures, off-time and angular sweeps and belittling blastbeats, showcasing Tucker handling vocals and guitars, having recruited a crew of metal militia from around the globe to execute his cruel new musical insurrection to fruition. Invisible Oranges is propagating the WARFATHER initiative, housing an exclusive broadcast of “The Shifting Poles” nowAT THIS LOCATION. Decibel also recently unveiled the album’s “My Queen Shall Not Be Mourned” RIGHT HERE. Over a decade after his departure from Morbid Angel, and over two years since his participation as a vocalist and writer in the well-received Nader Sadek project, Steve Tucker’s WARFATHER clan united at Cincinnati-based TME Studios to recordOrchestrating The Apocalypse with Tucker handling recording duties, the final product mastered by Maor Appelbaum. The album brutalizes in a relentless style that builds on the work laid on the three Tucker-fronted Morbid Angel albums — Formulas Fatal To The Flesh, Gateways To Annihilation and Heretic – delivering an intense, debilitating performance while infusing unique even bizarre atmospheric elements. WARFATHER will declare live offensives and more as 2014 progresses; stand by for further transmissions. Preorders for Orchestrating The Apocalypse are available viaGreyhaze Records and Earsplit Distro now. Mystifer track stream now available! Apoch’s Metal Review and Greyhaze Records present the exclusive premiere of MYSTIFIER’s “An Elizabethan Devil-Worshiper’s Prayer Book.” The track comes off the Greyhaze Records deluxe CD/DVD digipak reissue of Wicca, the now classic debut from this highly influential Brazilian black metal band. Release dates are February 18 for the U.S. and February 24 for Europe. Preorder info is forthcoming in the next couple of weeks. Comments Off on Mystifer track stream now available!